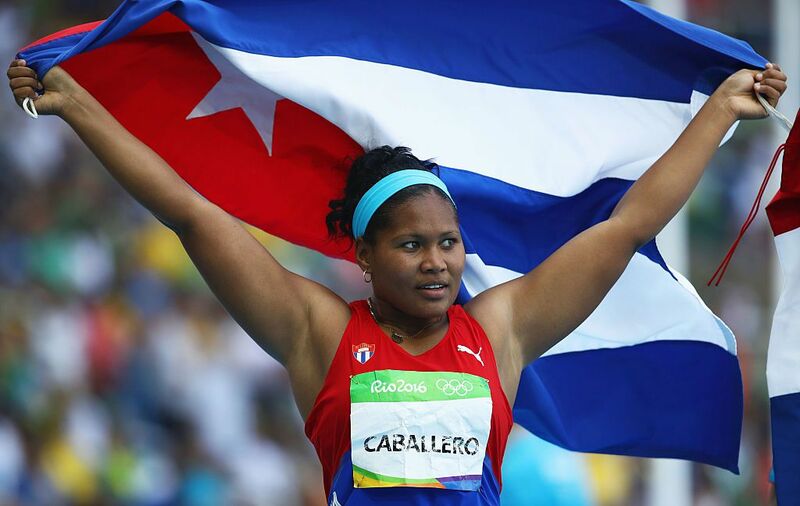 Above: Denia Caballero, who took home the bronze medal in the women’s discus throw. For the friends of Cuba and the fans of combat sports alike, the Caribbean island’s remarkable record at the Olympics and other international competitions is something of an enigma. This tropical socialist republic of some eleven million people, which inspired the oppressed and colonized peoples of the world fifty years ago with one of the most important revolutions in modern history, has consistently excelled in international athletics competitions, and the 2016 Summer Olympics in Rio de Janeiro has proved no exception. When it comes to combat sports in particular – boxing, wrestling, judo, taekwondo – Cuba’s achievements are even more remarkable. Just one year ago Cuba dominated combat sports at the Pan-American Games held in Toronto, Canada. Cuba came in fourth place at the games overall with 97 medals (36 gold, 27 silver and 34 bronze), behind the three largest and wealthiest countries in the Americas: the United States, Canada and Brazil. Needless to say, this is extremely impressive in itself. But when we look at combat sports specifically, the achievements are greater still: Cuba brought home the highest number of medals in both boxing (10 medals: 6 gold, 4 silver) and taekwondo (5 medals: 3 gold, 2 bronze), and the second highest number in judo (14 medals: 3 gold, 3 silver, 8 bronze) and wrestling (13 medals: 4 gold, 3 silver, 6 bronze). Cuba came close to dominating the combat sports completely: it was only 2 medals behind the United States in wrestling, and 1 behind Brazil in Judo. Above: Cuba’s Arlen Lopez drops Uzbekistan’s Bektemir Melikuziev in the men’s middleweight bout. At this year’s Summer Olympics in Rio de Janeiro, Cuba continued its long tradition of excellence in the fighting arts, bringing home 11 medals, all but one in combat sports, namely boxing, wrestling and judo. In boxing, gold medal victories were won by Arlen Lopez (men’s middleweight) Julio César La Cruz (men’s light heavyweight) and Robeisy Ramirez Carrazana (men’s bantamweight), while in Greco-Roman wrestling Mijaín López (men’s 130kg) and Ismael Borrero Molina (men’s 59kg) both brought home gold medals. Overall, Cuba scored the second-highest number of medals in boxing with only one less than Uzbekistan, and the third highest amount in wrestling, being exceeded only by Russia and Japan. When we consider that Cuba has a population of some 11 million people and is rated 76th on the global GDP index, the depth of these achievements come into sharper perspective. If we measure medal counts per capita, Cuba comes in first place in both boxing and wrestling. Above: Mijaín López, Greco-Roman wrestler who has competed in both the 120kg and 130kg divisions. He is a five-time world champion, four-time Pan American Games champion, three-time Olympic gold medalist, and one of the most exciting fighters in the world right now. There have been rumors about him moving into MMA. So here’s to the Cuban Olympic team, and the proud people of Cuba who continue to defend the monumental gains of the 1959 Revolution despite more than five decades of unrelenting imperialist aggression. In the future, expect more from The Good Fight on our favorite Cuban fighters, Cuba’s fascinating boxing history, and the connection between the fighting arts, athletics and the Cuban Revolution. Previous Cuba at the Rio Olympics: still punching above it’s weight – and winning.